After several years of low monarch butterfly populations in southwestern Pennsylvania, this year has been spectacular. With the weather still as warm as summer I see monarchs flying south every day — even in October. We know that migrating birds can be seen on radar. 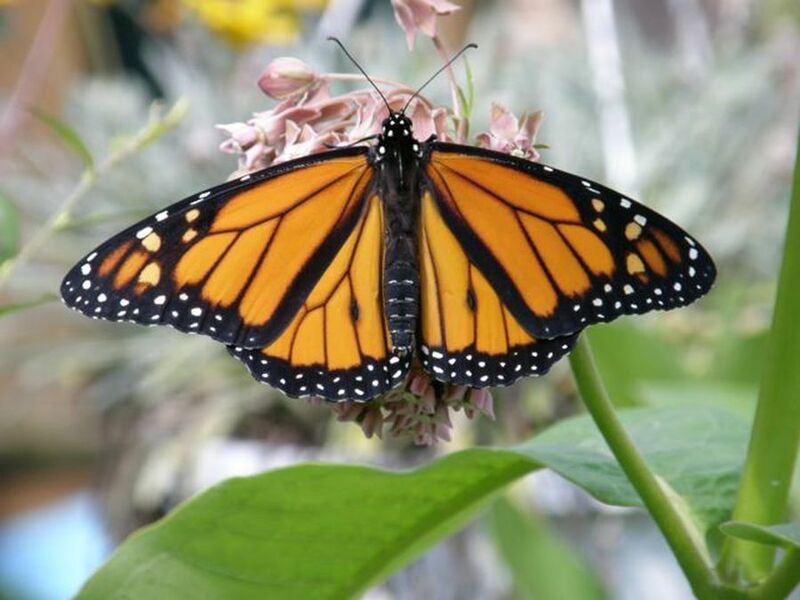 Did you know that clouds of monarch butterflies are visible too? Back in September 2014 AOL reported that a dense flight of monarch butterflies was visible on radar in the St. Louis area. Here’s what the National Weather Service radar looked like at the time. 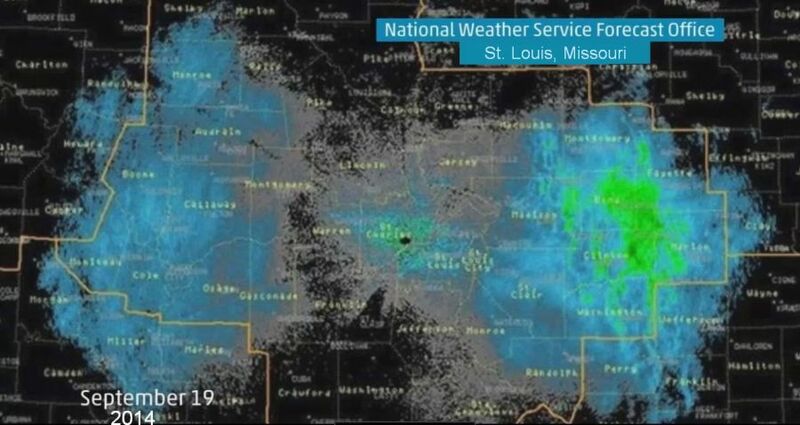 Learn how the butterflies made this impression in a 2014 AOL article: Mysterious clouds spotted in radar explained. Whole heartily agree, this year has been spectacular. I have been seeing several monarchs daily and saw just last week 4 on a single Ironweed plant that was in bloom. How unfortunate that aol chose to illustrate the story with a photo of a viceroy instead of a monarch!